After a nice meal at a local cafe we hit the road to Hobart , the sun was out and it was much warmer than yesterday so all the green was bright and the ocean was blue and road curvy and scenic. We have chosen short routes in tasmania to enjoy them arriving early every day and checking out the places we stay at. 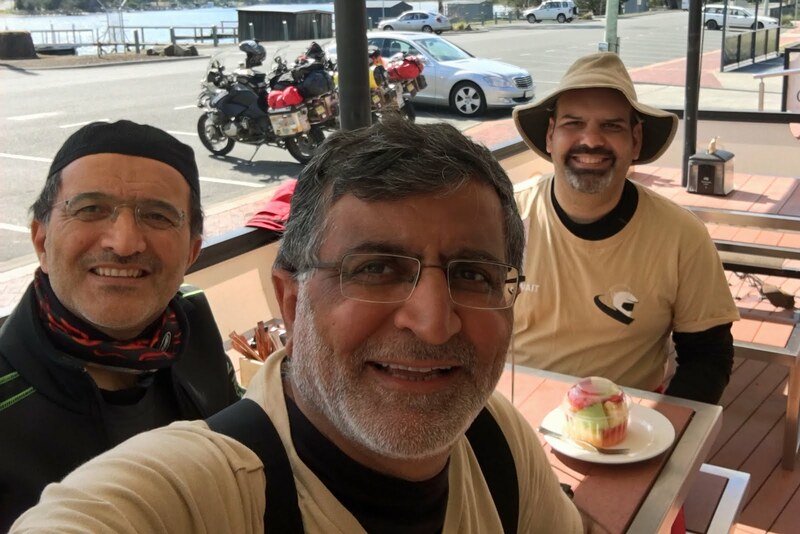 Along the way we stopped for Ali's coffee, when we stop we get the usual questions where are you from where are you going, but here it's more since we get I ride too and there is this road .... conversation going on. Australia has a big motorcycle community many people ride here on all types of bikes. 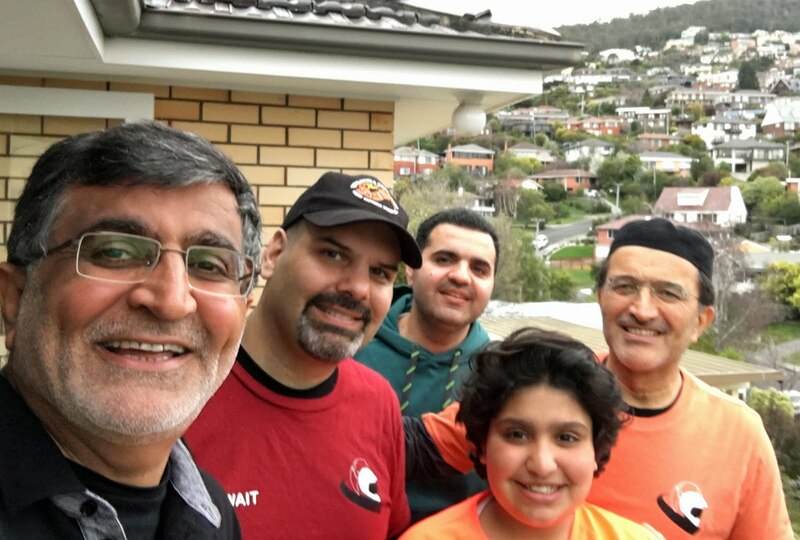 Ali has been in contact with Mr. Mohammed Al-Faraj who is a Kuwaiti student in Hobart doing his PHD once we reached Sandy Beach in Hobart we contacted him and then went to his place and met his family over a home cooked meal. We had to leave early since we had a load of laundry to do and Preparation for tomorrows trip.